Avenue Diagonal, Parnela by Pronovias. 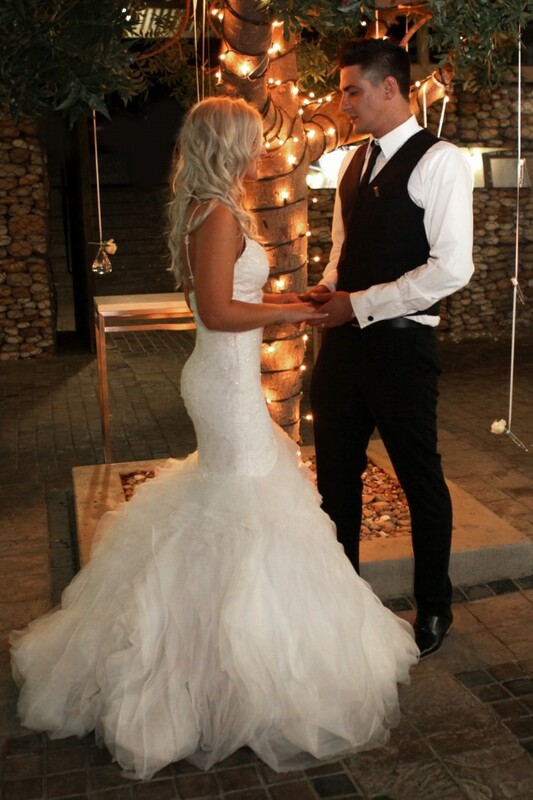 This is a Pronovias Original dress, bought from a Pronovias accredited distributor in South Africa. Worn once for my wedding. Has been Dry-cleaned and in excellent condition. WHITE, Size 8/10, Fit & Flare Mermaid style, with thin detailed straps, Short train - no need for it to be hooked up, strapless bra added and fitted into dress. Slightly altered at the waist and straps. Please feel free to contact me at anytime with any questions.